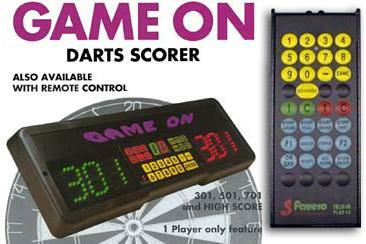 ELECTRONIC DARTS SCORER GAME ON WITH INFRARED ¦ Darts, dartboards, electronic scoreboards and all darts accessories. Electronic darts scorer Game On with infrared tele-control. Works at up to 200 metres.